Where the Sun always shines on South County&regs most beautiful beaches. 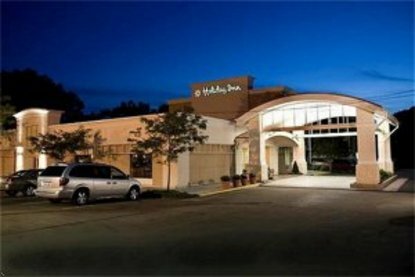 The Holiday Inn hotel-South County / Newport, RI is centrally located on scenic Rt. 1 in South Kingstown, RI. We are just 25 minutes south of Providence Airport (PVD) also known as TF Green Airport. The Holiday Inn hotel is the closest hotel to the University of Rhode Island (URI), The University of Rhode Island Bay Campus, The Ryan Center, and the scenic State & City Beaches of Narragansett, RI. Just minutes east you will find the beautiful historical Seaport & City of Newport, RI. In Newport you can step back in time and tour the famous Historical Mansions, walk along America&regs Cup Highway and Thames Street for the finest in shopping. The adventurous can stroll along the Cliff Walk and see the scenic views of the Ocean. Relax on the beaches and enjoy the cool summer breeze. Travel minutes south and you will find several of the finest beaches of Narragansett, Port of Galilee, Narragansett, RI and the Block Island Ferry to enjoy the summer fun and finest weather. The old time scenic Town of Wickford, RI and wonderful local shops are just North of the Holiday Inn hotel. Relax, It&regs Holiday Inn, enjoy the sun and fun where kids stay and eat free in our 107 comfortably furnished guestrooms with all the standard amenities, outdoor swimming pool. We also offer Free high speed Wireless Internet for those busy work nights. This hotel is committed to providing accessible facilities under the American Disabilities Act. If your accessibility needs are not met, please contact the Hotel Manager on Duty. Should you require additional information regarding accessible facilities for guests with disabilities, please call 1-800-Holiday (U.S. and Canada) or contact the hotel directly. For the hearing impaired, TDD service is available at 1-800-238-5544 within the U.S. and Canada.